I can’t decide if I have a love or hate relationship with summer. I love not having a schedule, but at the same time, I think I hate it. Lately, we have no kind of schedule at all. I’m lucky if I’m out of bed by 9 am. I love that I get to sleep in and my kids are sleeping in as well, but when I wake up at 9 am and realize that I could have been up for two or three hours getting things done, then I realized how much time I’m wasting. I don’t know if I hate wasting the time enough to actually get out of bed earlier though. Ha! What time do you get up in the morning during the summer? 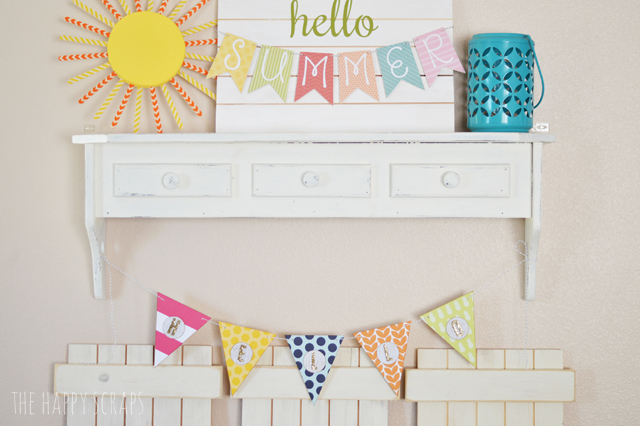 One of the things that I do LOVE about summer is the warm sunshine and the bright colors and this Colorful Hello Banner is the perfect addition to any summer home decor. 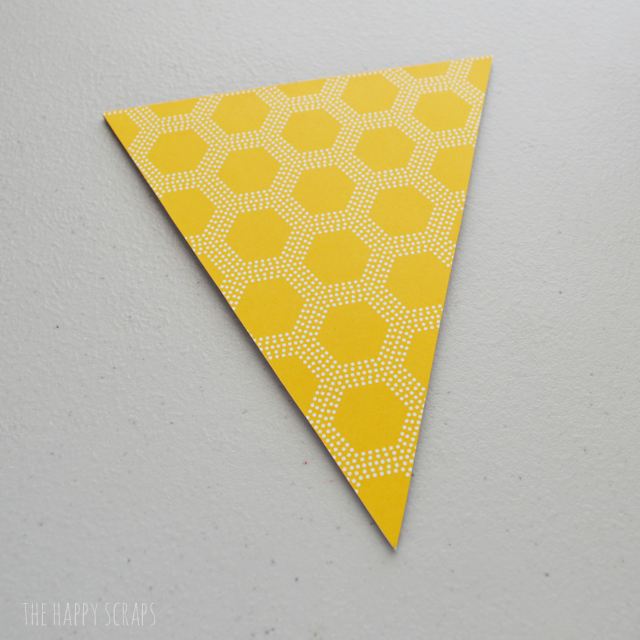 Today, I’m sharing with you how easy this is to make. This post contains affiliate links. All ideas and opinions are my own. 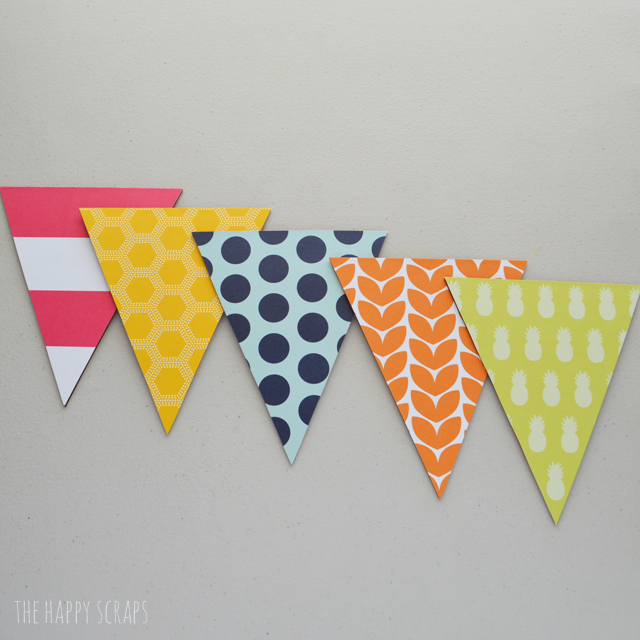 Trace your banner shape onto your selected patterened papers, then use your scissors to cut it out. 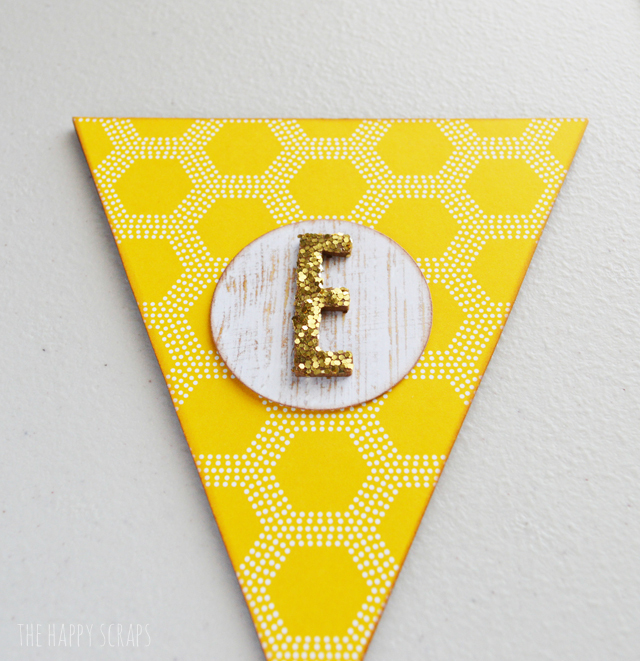 Once you have your paper cut, spread some wood glue onto the banner shape. 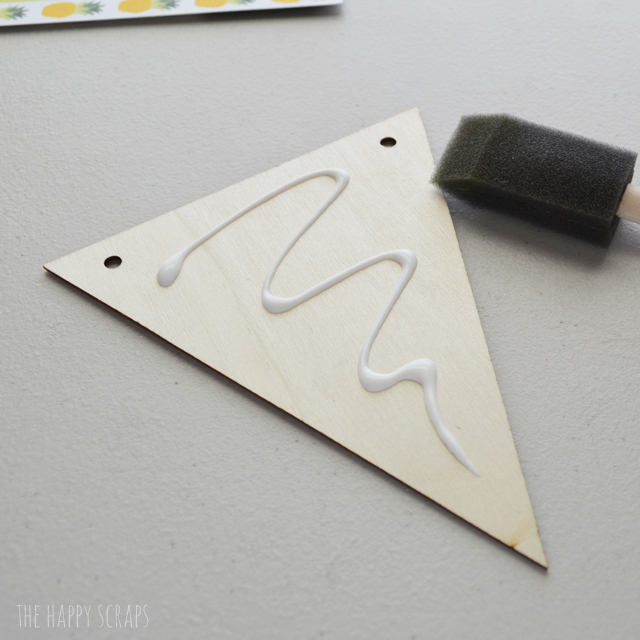 Spread it evenly over the entire shape using a sponge brush. Apply your paper to the wood glue. Use something like a vinyl squeegee or credit card to smooth out. Do that with all of your pieces. Using the circle punch, punch the circles for the letters to be on. Ink the edges of the circles with your brown ink. Apply your Thickers to the top of the circles. 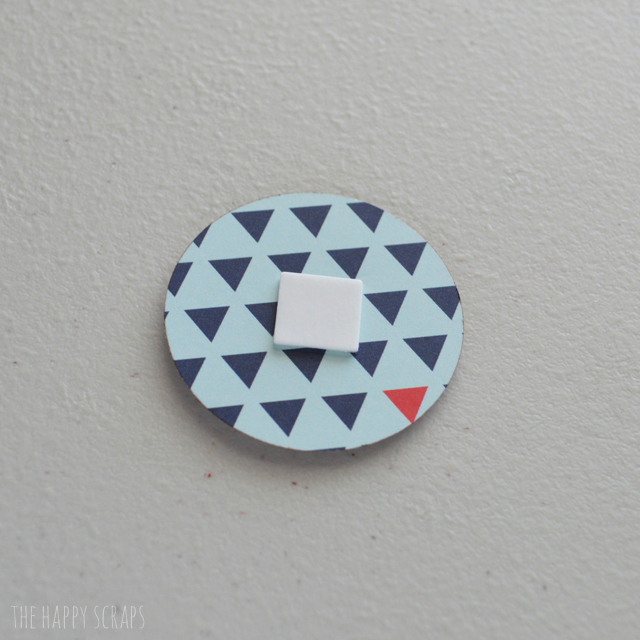 Place dimensional adhesive on the back of the circles with the Thickers on them. 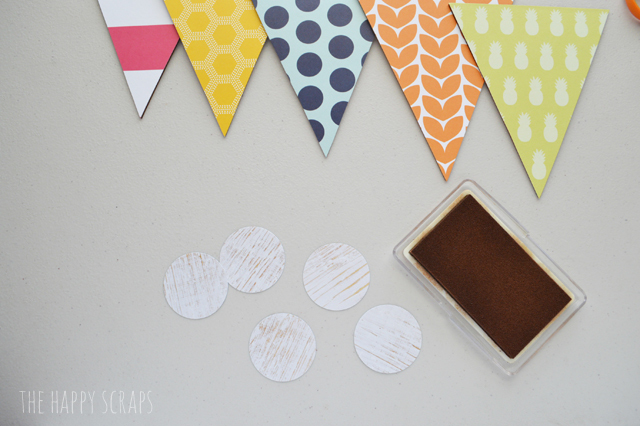 Attach your circles with Thickers to the front of your banner shapes. 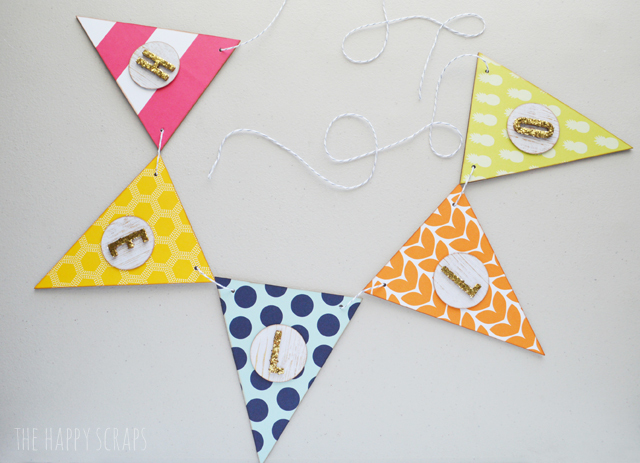 Use your baker’s twine to string your banner together. Hang it up with the rest of your summer decorations and you’re finished. 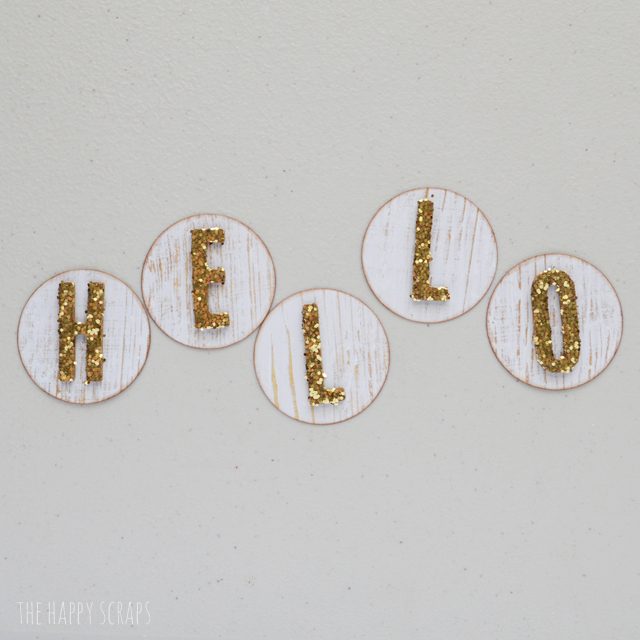 Do you have the perfect place in your home to hang this Colorful Hello Banner? 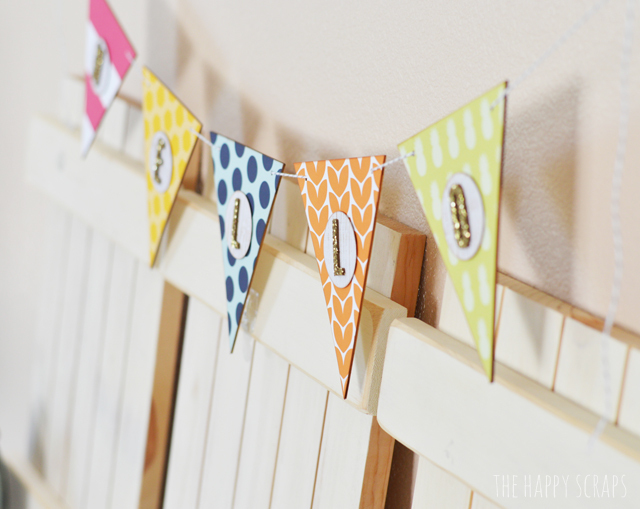 Where would you hang this fun banner in your home? 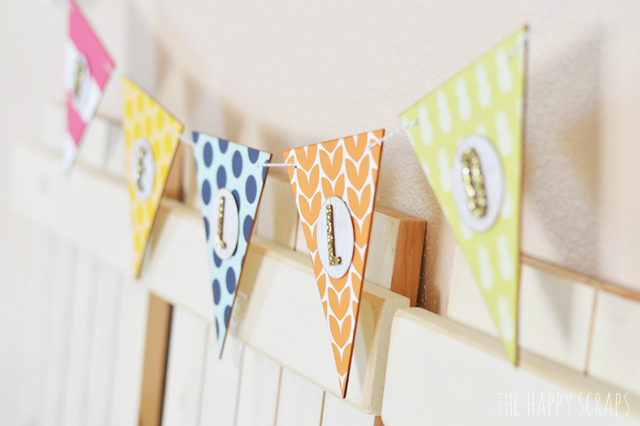 I thought my Colorful Hello Banner went well with my Hello Summer Banner Board and Simple Summer Sunshine. 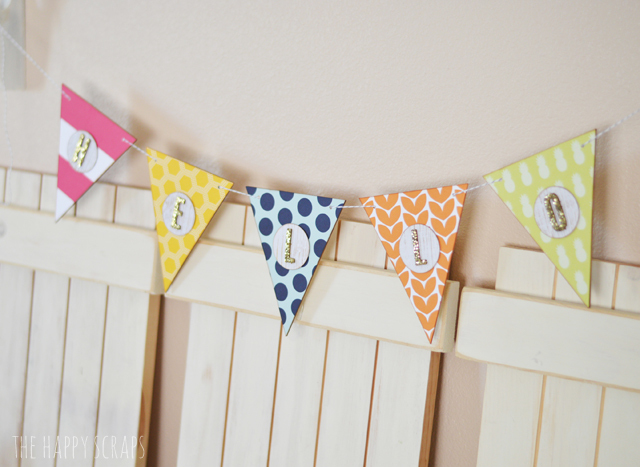 Do you decorate for summer time? Or do you decorate for the 4th of July and leave it up for the summer? I think either way is a great way to decorate!